With baby boomers reaching retirement, the numbers of elderly people in the United States continue to grow. Half of those over the age of 65 have at least 1 condition associated with getting older. 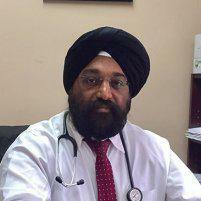 Dr. Inderjit Singh Kainth of Brunswick Internal Medicine Group PC has a strong interest in geriatric medicine. If you’re an older person looking for top-level health care, call the offices in Kendall Park and Metuchen, New Jersey for an appointment. What are some of the medical challenges older people face? One of the biggest challenges that an aging population faces is a health care system directed toward single-condition diagnosis and treatment. This is a natural development of a younger population that tends to have 1 disease at a time. Treatment is based on clearing up that problem, returning the patient to regular health, and then if necessary, treating the next issue that arises. As life expectancy grows, the possibility of a patient having several unrelated conditions also grows. This complicates treatment, since the physician must now balance treatment options against each other, as well as the conditions. Even a single geriatric condition may impact independence and ability to function, so management of multiple conditions requires care and experience. What’s the single most common condition for seniors? Affecting almost half of all Americans over 65, arthritis is perhaps the most common geriatric ailment, causing aches, pains, and interfering with the quality of life. Though the symptoms of arthritis discourage movement and activity, continuing to be active often is the best self-treatment option for the arthritis patient. The 2 main types of arthritis are osteoarthritis — a breakdown of cartilage — and rheumatoid arthritis — a disorder that targets joint linings. What are other typical geriatric conditions? While all common diseases may affect seniors, some more commonly affect those approaching retirement age. Heart disease: As painful as arthritis can be, it’s not a killer like heart disease. Aging creates several risk factors for developing heart disease, the leading cause of death for those over the age of 65. Cancer: Many treatments and procedures cure or reduce symptoms for various cancers, improving quality of life. Respiratory ailments: Asthma, emphysema, bronchitis, and chronic obstructive pulmonary disease (COPD) impact daily living and increase a senior’s risk of contracting pneumonia. Alzheimer’s Disease: Cognitive impairment interferes with a senior’s ability to function, robbing independence and increasing the need for care.